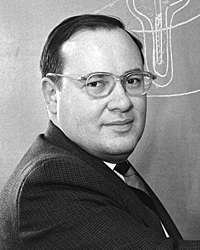 Arthur Leonard Schawlow (May 5, 1921 – April 28, 1999) was an American physicist. 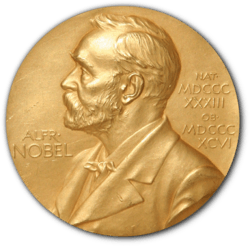 He shared the 1981 Nobel Prize in Physics with Nicolaas Bloembergen and Kai Siegbahn for his work on lasers. Schawlow was born in Mount Vernon, New York. His mother, Helen (Mason), was from Canada, and his father, Arthur Schawlow, was a Jewish immigrant from Riga, then Russian Empire (now Latvia; Schawlow was raised in his mother's Protestant religion). When Arthur was three years old, they moved to Toronto, Ontario, Canada. At the age of 16 he completed high school at Vaughan Road Academy (then Vaughan Collegiate Institute) and received a scholarship in science at the University of Toronto (Victoria College). After earning his undergraduate degree Schawlow continued in graduate school at the University of Toronto which was interrupted due to World War II. At the end of the war he began work on his Ph.D at U of T with Professor Malcolm Crawford. He then took a postdoctoral position with Charles Townes at the physics department of Columbia University in the fall of 1949. He considered himself to be an orthodox Protestant Christian and attended a Methodist church. He went on to accept a position at Bell Labs in late 1951. He left in 1961 to join the faculty at Stanford University as a professor. He remained until he retired to emeritus status in 1996. Schawlow was a promoter of the controversial method of facilitated communication with patients of autism. Although his research focused on optics, in particular, lasers and their use in spectroscopy, he also pursued investigations in the areas of superconductivity and nuclear resonance. Schawlow shared the 1981 Nobel Prize in Physics with Nicolaas Bloembergen and Kai Siegbahn for their contributions to the development of laser spectroscopy. Schawlow coauthored Microwave Spectroscopy (1955) with Charles Townes. Also with Townes, they prepared a much disputed, by Gordon Gould, laser patent filed by Bell Labs in 1958. Schawlow died of leukemia in Palo Alto, California. He has participated in science and religion discussions. Regarding God, he stated "I find a need for God in the universe and in my own life." Arthur Schawlow was an intense fan and collector of traditional American jazz recordings, as well as a supporter of instrumental groups performing this type of music.